Yesterday I spent the first official day of the school holidays at a TfEL professional development day about Effective Learning for All. It was the first of three such sessions available and whilst I had already been to the first session a couple of years ago I am very pleased to have had this second opportunity: I've changed a lot since then, and so has the TfEL team. Last time I left more confused about TfEL than when I arrived. I use TfEL in my planning now so it's somewhat less of a mystery to me BUT I left this session feeling at peace with my understanding. I learnt some new ideas but nothing that contradicted or confused me. Phew! 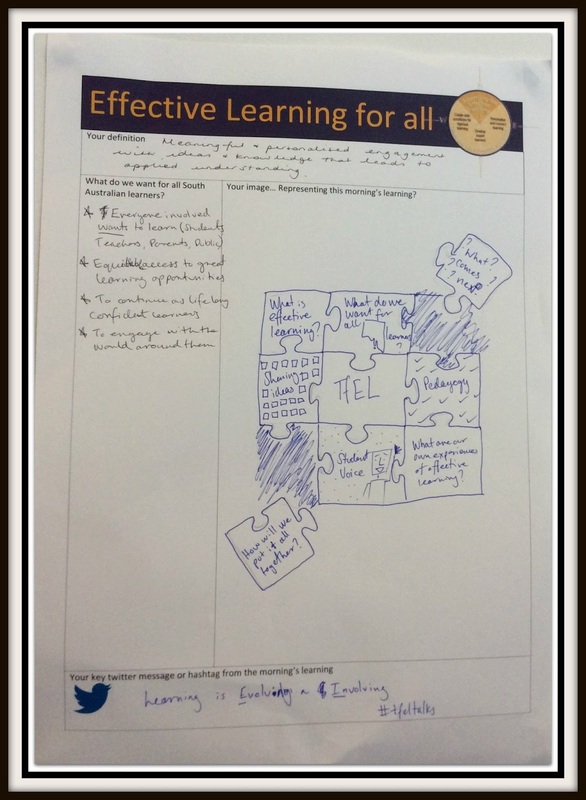 We spent most of the morning 'unpacking' the TfEL framework into the four domains, then elements and finally essences. The presenting team modelled the use of a range of strategies found in the TfEL Companion and on the website. It was great to see the team practise what they preach. (Not that they preach! Honestly! They're more like a cheer squad, but you know what I mean!) And it was inspiring to hear stories of how different schools have really taken on board various elements of the framework. The big take home message for me? I'm not sure there was one. I have a long list of resources I want to explore and a few ideas around the difference between personalised and individual learning that I need to develop. 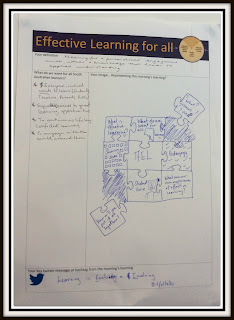 One of the discussions we had early in the day was about defining effective learning for all, and this topic came up. I'm wrestling with it because whilst there was a bit of consensus that they are analogous: I don't agree. You might be able to see our group's definition in the photo. (If not, it says "meaningful and personalised engagement with ideas and knowledge that leads to applied understanding".) I'm not in love with this definition either but it represented our group's understanding meaningfully at the time. Don't you love our group's visual representation of the morning's learning? I'm going to brag and share that it was chosen by the presenting team to share at the end of the day to wrap up all of our learning. Nice to know that we were hearing the message they were trying to give us. I live tweeted on the day using #tfeltalk, of course. I was almost alone in doing so which saddened me because I have discovered that my best learning happens in the back channel of such sessions. You can check out my (first ever) storify of the day below.